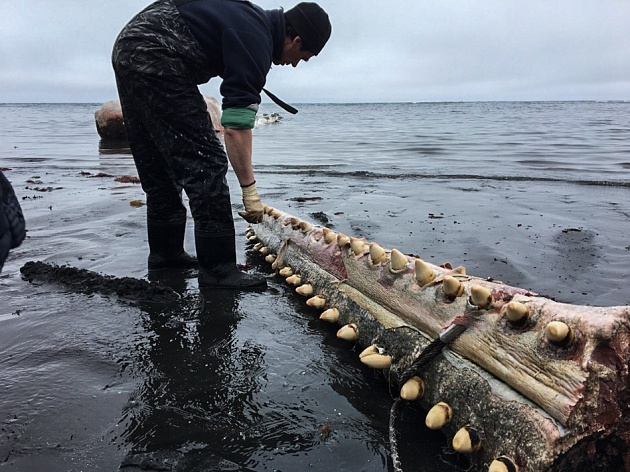 On the island of Bering on the shore in the Bayan Bay area, the corpse of a male sperm whale was thrown out. On July 4, state inspectors of the natural biosphere reserve “Komandorsky” discovered patrolling the territory. 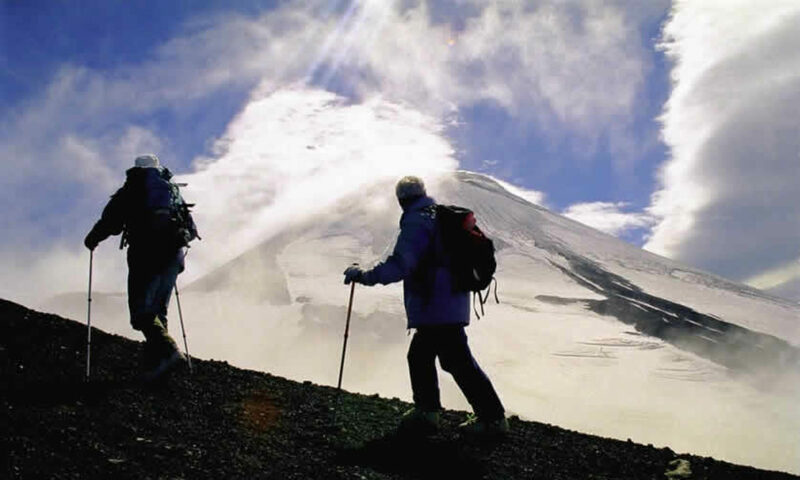 The next day a group of employees headed by Yevgeny Mamaev, deputy director of the scientific reserve, arrived to make the necessary measurements and collect biological material. “The length of the mammal reached a maximum value of 20 m. Presumably the animal died a natural death more than a month ago, after which the body carried to the shore by storm waves,” Evgeni Mamaev said. Now the sperm whale is in the water and scientists can not perform an autopsy. While the staff of the reserve seized the lower jaw of the animal, which after the removal of all genetic samples will become part of the exposition of the nature museum, which is planned to open in the visit center of the Komandorsky reserve. If possible, the research will continue. Note that similar finds of fallen whales on the territory of the reserve “Commander” are observed almost every year. Most often, animals die in the ocean and storm their bodies to the shore, after which they become part of the food chain for birds and Arctic foxes. Along with taking into account the live cetaceans in the protected water area, the reserve staff regularly survey the shoreline for the presence of discarded dead animals, in order to collect biological data.